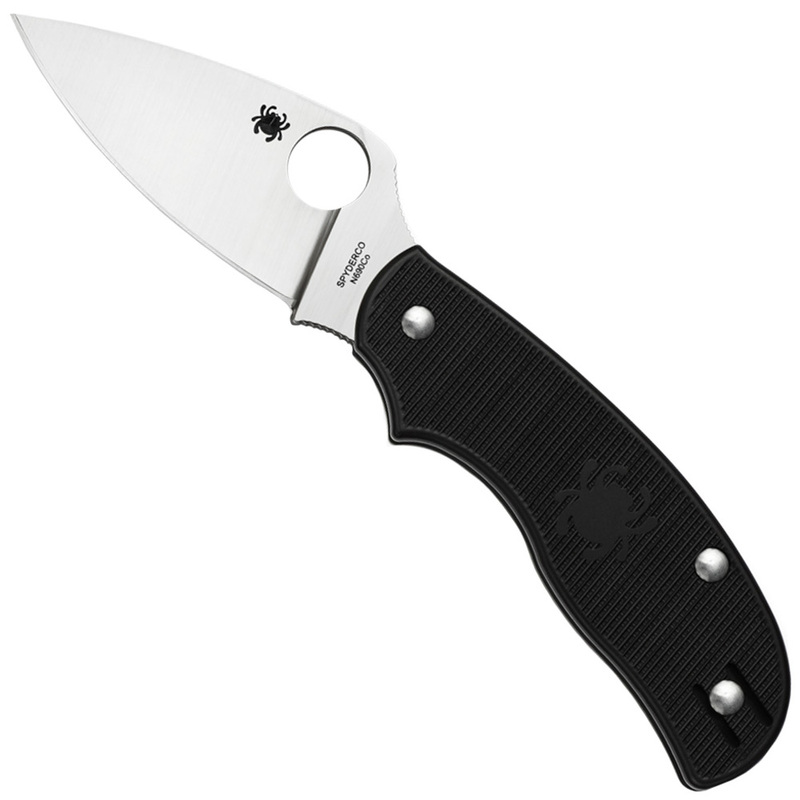 Spyderco’s popular SLIPIT knives are non-locking folders that combine the advantages of one-hand opening and clip carry with the legal permissibility of a non-locking mechanism. Originally released in 2009 and later discontinued, the Urban™ Lightweight exemplifies all the best qualities of the SLIPIT concept and combines them with the weight-saving advantages of an injection-molded fiberglass-reinforced-nylon (FRN) handle. Its blade is machined from premium Böhler-Uddeholm N690Co steel—a high-performance stainless steel alloyed with cobalt, molybdenum, and vanadium. Its full-flat grind and leaf-shaped profile provide an exceptional balance of strength, low-friction cutting performance, and point utility. 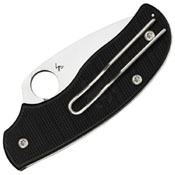 A prominent index-finger choil (finger groove) helps prevent unintentional blade closure, while Spyderco’s Trademark Round Hole™ ensures positive one-handed opening with either hand. The Urban Lightweight’s textured FRN handle scales are anchored to the handle’s solid steel back spacer, which provides structural strength and serves as the spring for the knife’s notched-joint non-locking pivot mechanism. The handle also features a reversible deep-pocket wire clip that allows left or right-side tip-up carry and keeps the knife tucked low in the pocket for a discreet, socially friendly image.